Cellphone video of the encounter shows Wallace opening fire on the dog - named Reese's - within feet of its owner, Doug Canady. Police say the incident began following a call for service for an "aggressive" dog at Canady's home. 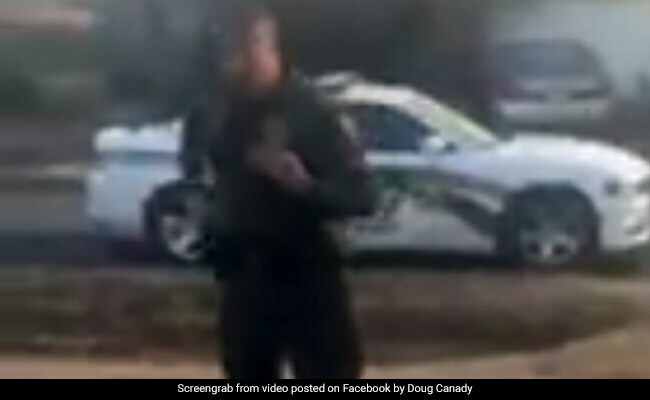 The graphic video - which was posted to Canady's Facebook page Friday and has been shared more than 40,000 times - shows two dogs barking and running near the deputy's feet.